Delighted to announce that I’ll be playing at a brand new festival in Blairgowrie, celebrating Hamish Henderson. 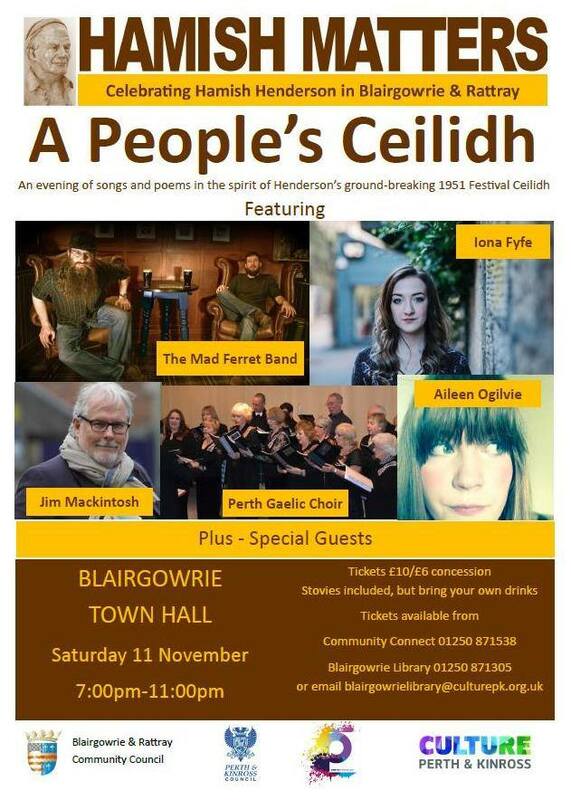 Hamish Matters will be held at Blairgowrie Town Hall on 11th November at 7:00pm and will feature Perth Gaelic Choir, Aileen Ogilvie, Jim Mackintosh and the Mad Ferret Band. Tickets are £10/6 with stovies included and are available from blairgowrielibrary@culturepk.org.uk or 01250 871538 or 01250 871305.